The Solid Mesh Drain Sock is a floor drain strainer to keep rice, hair, and other small debris out of your drains, preventing drain clogs and drain backups. Our drain sock is made of a new durable material that won't break or stretch, but still allows for max water flow! The Solid Mesh Drain Sock will work in 2”, 3”, & 4” floor drains. Simply insert the drain sock into the drain pipe below the floor drain grate. When the bag fills up or the drain gets sluggish, remove the drain strainer. You can empty and use again, or discard and insert a new one. Drain Socks keeps all solid food particles from entering your drainage system through the floor drains. Only wastewater can pass through. 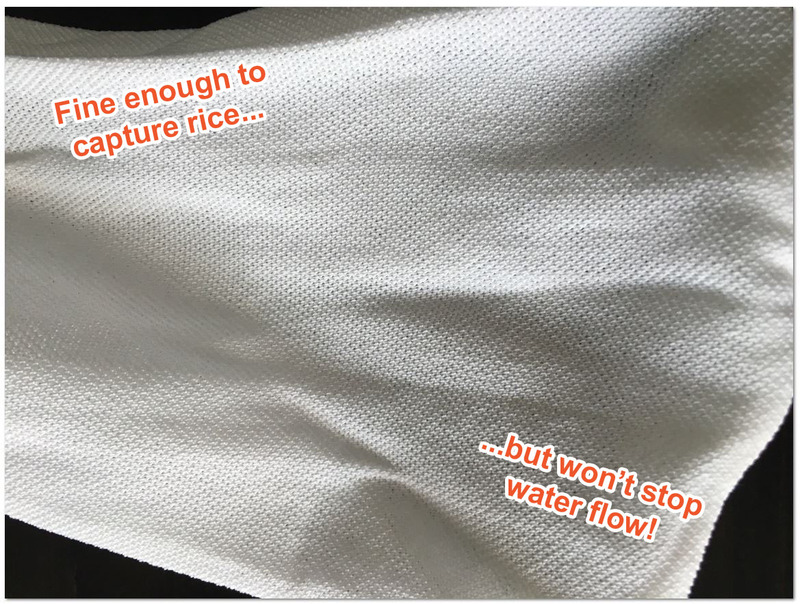 2" Solid Mesh Drain Sock = Diameter of 2 3/8"
3" Solid Mesh Drain Sock = Diameter of 3.5"
4" Solid Mesh Drain Sock = Diameter of 4.5"
The Solid Mesh Drain Sock (sometimes called a filter bag) captures rice, sand, hair and other fine particles. It is also an ideal solution for restaurants, commercial kitchens, and construction sites when you want to prevent saw dust, drywall dust, and other debris from entering the new piping system. Reduces expensive grease trap pumping and cleaning costs. Seventy to ninety percent of the effluence retained in your grease trap is solid food particles (not grease). Reduces the inconvenience of flooded floors in a busy kitchen workplace. Solid Mesh Drain Sock 2"
Solid Mesh Drain Sock 3"
Solid Mesh Drain Sock 4"